With a stay at Paradise Airport Hotel in Istanbul (Bahcelievler), you'll be within a 15-minute drive of Mall of Istanbul and Sinan Erdem Dome. 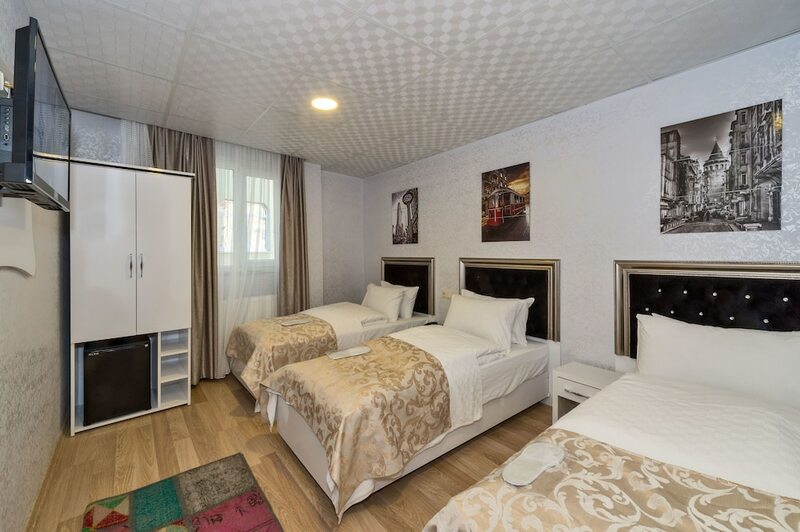 This hotel is 8.1 mi (13 km) from Grand Bazaar and 9.6 mi (15.4 km) from Galata Tower. Make yourself at home in one of the 23 air-conditioned rooms featuring free minibar items and LCD televisions. Your bed comes with down comforters and Egyptian cotton sheets. Complimentary wireless Internet access keeps you connected, and satellite programming is available for your entertainment. Partially open bathrooms with showers feature rainfall showerheads and complimentary toiletries. Take advantage of the hotel's 24-hour room service. A complimentary breakfast is included. Featured amenities include express check-in, express check-out, and complimentary newspapers in the lobby. Free valet parking is available onsite.